Managing deer land can means different things to different people, and it all starts with goal setting. If there was ever a situation that put a devil on one shoulder and an angel on the other, this was it. Using a combination of Primos’s Buck Roar and GREAT BIG Can, my calling efforts had hooked 2 bucks. As they entered the field, all my attention was on the second. His wide 6 by 6 frame sported long tines easily went over 160 inches of antlers. Best of all, he was heading straight from my standing buck and bedded doe Custom Robotic Wildlife decoy pair. Unfortunately, I could also see that he was a 3.5 year old buck. Working as a consultant for West Central Illinois’ Sugar Creek Outfitters, I knew managing deer land here meant he was going to walk. After all, owner, Don Barry, head deer manager Chad John and I had worked together forming them. Sure, the minimum was currently 135 inches, and this buck exceeded that by a long shot. However, the true goal was to get all the bucks to 3.5 yrs old and as many of “the good ones” to at least 4.5 yrs as we reasonably could. I wanted him bad, but I knew I shouldn’t pull the trigger. With the good angel winning, I turned my attentions to the lead buck. No more than I had, he squared off to intimidate his follower. Though the mid 130s, wide 8 was also a 3.5 yr old, his temperament was obviously much more aggressive than the 6×6. One pinned ear stare caused the other to drop his head in submission. Satisfied, they both resumed their approach. As they did, I placed the top circle of my Nikon scope on his vitals and squeezed off the shot. 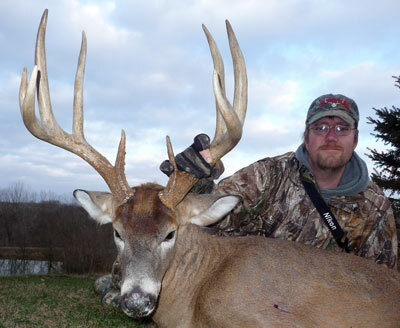 Normally, I wouldn’t start an article for B&AH with the story of a muzzleloader kill. However, this fit just too perfectly not to. Though there is a secondary reason I’ll get to later, my primary reason is that harvesting the right bucks is a very large and often overlooked part of managing deer land. Sure, killing does and offering food is important, and we’ll cover both of those aspects. However, if you really want to get the max from managing deer land, each of these big 3 must be factored in. When they are the results can be extremely impressive. For as much as letting bucks walk until they mature is covered, a key component in the equation for growing giants is missing. When managing deer land, many bucks should never be allowed to get old. When they are, the results can be very negative. 13 seasons they didn’t take one buck that grossed Boone & Crocket, while managing deer land. At the same time, the hunters on the neighboring properties, none of which having as high of standards, took bucks that grossed above Boone every season. At first glance, this seems to defy logic. After all, shouldn’t you be killing bigger bucks if your minimum is significantly higher than any of your neighbors? The answer is often no. On tightly controlled ground, you commonly hurt yourself by passing up bucks that don’t score high enough. Setting one flat minimum inches on antlers doesn’t work well at all. Let’s look at this a little deeper. On that 1500 acre chunk of superb habitat, many, many bucks don’t have it in them to hit 150”. Face it, even with the surplus of prime feed that the property offers, a lot of 8s will never hit 150”. Heck, even many that can won’t until they are at least 5.5 years old. Also keep in mind that dominance has next to nothing to do with antler size. Though many factors play into it, health, being middle aged, temperament and the level of competition are the biggest ones. When a property has a surplus of prime aged 8s running around, chances are much greater that they will occupy the upper rungs of the buck dominance ladder. A common result is that they displace many of the other mature, yet subordinate bucks. Think about it logically. Why would a buck hang out one place where the competition and his odds of getting beat up are both significantly greater than if he just shifts his home range a little? When managing deer land you don’t want 140” 8s displacing your 160” 10s! The solution to this is to base buck harvest on potential, as opposed to pure inches. This may sound complicated, but it’s really quite simple. 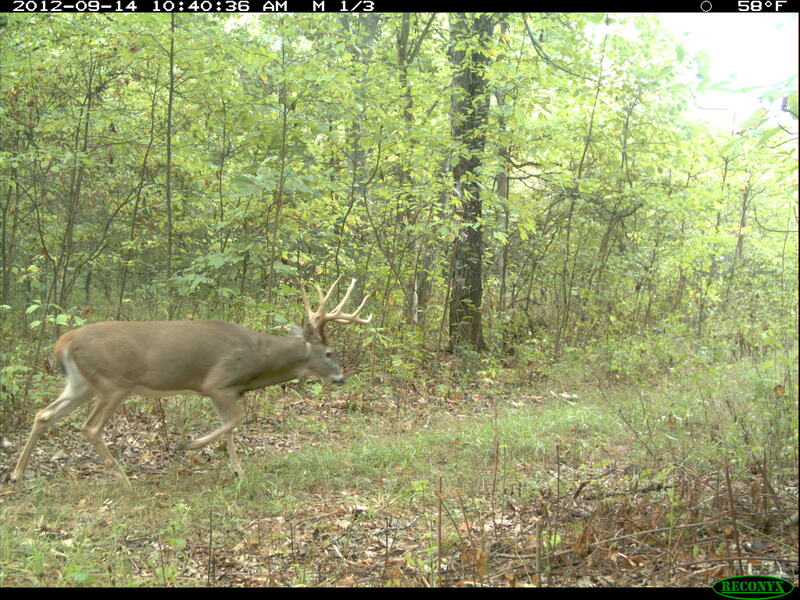 3.5 year old and older bucks sporting short tines and 9 or less points should generally be removed. Allowing bucks to reach 3.5 years and then applying the 10 point rule is the first step when managing deer land. Next, remember that when judging a buck for removal good mass is not their friend. That typically indicates that the tines are already about as long as they’re going to get. Besides, a lack of mass also screams young buck in most settings. 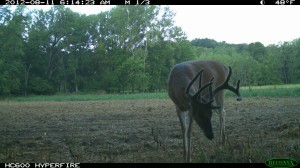 Additionally, short brow tines are a limiting factor. If an 8 has 2 inch brows at 3.5 years of age, chances are next to nothing that he’ll suddenly have 6 inchers at 4.5 or older. Since he only has 6 tines to begin with, having 2 of them being short is a huge negative. It shouldn’t be overly surprising that thin bucks with a lot of long points are the ones to save. It gets even sweeter when the rack boasts stickers and/or drop times. If you truly want to manage for top end bucks, these are the animals that should be left until they hit at least 4.5 years of age, and 5.5 is that much better if you are managing deer land. It’s not uncommon for bucks of these types of builds to put on 20 inches or more from 3.5 to 4.5 and 4.5 to 5.5. Suddenly, that good 145” ten at 3.5 years old is a mid 180s at 5.5. On the flip side, that 130” 3.5 year old 8 doesn’t have far to go. At 4.5, he’s likely added some, but is still probably no more than 140”. 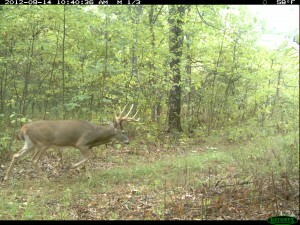 Unfortunately, he’s also a rack busting brute that the bucks you really want have to compete with. That is, unless they relocate to the neighbors and enjoy the easy life. 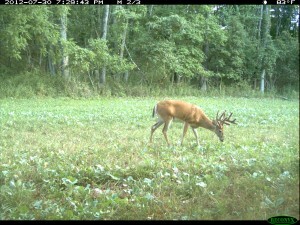 Killing him at 3.5 years of age provides far more benefits than downside when managing deer land. Since we’re talking about managing deer land, we may as well touch on killing does. By now, everyone knows shooting does is critical. After all, if the buck:doe ration isn’t tight, the bucks kill themselves breeding all the does, there’s no food, mature does are left unbred and the world as we know ends. I have to cry BS over this. The first part that’s flat out untrue is that breeding a lot of does is more of a strain on bucks than competing for them. In populations with a tight buck:doe ratio the bucks have to work much harder for breeding opportunities. I have no doubt that the extra miles they put on and ferocious fights that result from well balanced herds are significantly harder on their bodies than breeding ever was. Simple logic and common sense dictates that. often is a serious issue. As far as mature does cycling repeatedly, due to a lack of breeding bucks, I cry foul again. 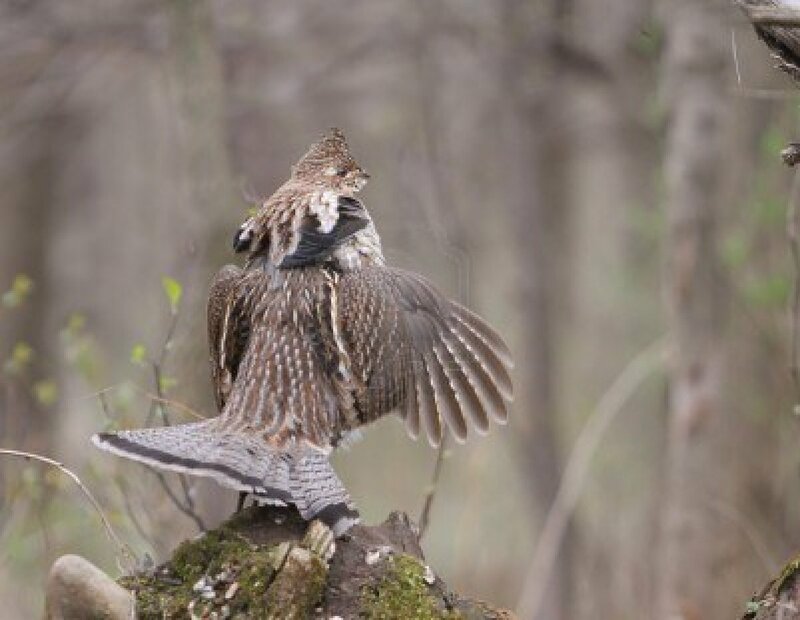 This is a subject that outdoor writers Brad and Carol Herndon, Wisconsin outfitter Tom Indrebo and I discussed at this past Archery Trade Association show. 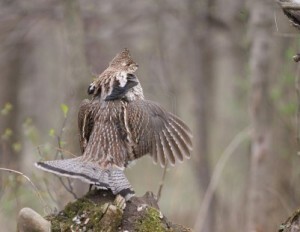 The Herndons mentioned that they are seeing antler development stunted on their lease. They reasoned that it’s because their Southern Indiana deer numbers are indeed to high for the habitat and many local hunters refuse to shoot does. Upon hearing that, I asked if they’d even seen a buck tending a mature doe in December or January. Keep in mind, between the Herndons, Tom and I, we have around 150 years of hunting experience and many years managing deer land. 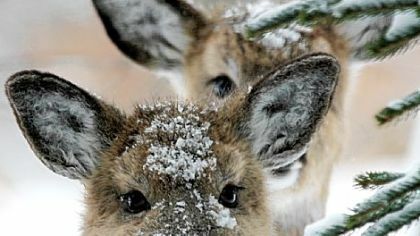 Though all of us had seen bucks on fawns in December and January, none have seen bucks tending does 1.5 year old or older. Keep in mind that, though Tom’s land now has a tight buck:doe ratio, all of us have spent many, many years hunting lands that are as far out of wack as they come. Simply put, does going unbred due to out of wack ratios are so the exception that they aren’t even worth mentioning. 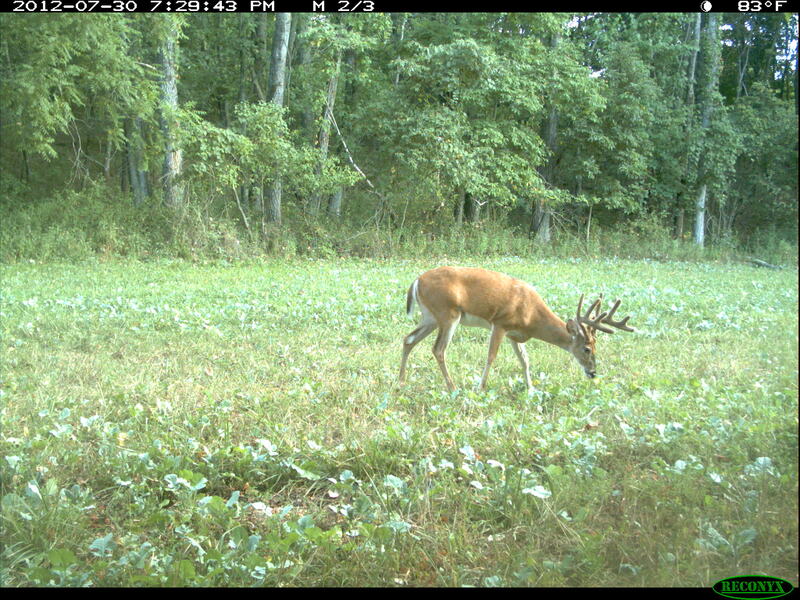 Don’t get me wrong, there are 3 solid reasons to harvest does when managing deer land. One is to lower yearling buck dispersal. At either .5 or 1.5 years of age, just before breeding occurs, the mother doe drives her male offspring out of their birth home range. The result is that they establish a new home range of their own, on average between 1 and 10 miles away. Since habitat managers are striving to produce healthy young bucks, it’s a shame to give them to the neighbors. Shooting their maternal doe increases their odds of staying within their birth range. The next reason is that bucks indeed have to work much harder for breeding opportunities when the ratio is tight. Though this does make life harder on bucks, it also makes it easier on the hunter. If we are doing our work and killing the less desirable bucks, what we are left with is more gagers running our properties harder because fewer breeding opportunities exist, and they even have to compete harder for those. Obviously, this increased movement and the increased responsiveness to calling all plays in the hunter’s favor. best bucks a property is capable of, ensuring ample nutrition is present is extremely important. In reality, I’m far from against shooting does. However, I firmly believe that we as hunters should do it for the right reasons in the right situations. 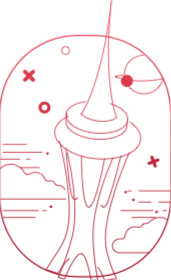 Doing something just because we’re told to over and over is rarely a great idea. I’d rather do it for the right reasons. When discussing producing gagger bucks, supplying ample nutrition is always a must. Since this topic is covered extensively, I’ll hit a few lesser touched aspects. The first is offering a smorgasbord over the entire year. Properties I work with always plant corn and soybean mixes that are left over winter. I also recommend planting Antler King’s Trophy Clover, Honey Hole, Red Zone and Fall/Winter/Spring, as well as supplying their Trophy Deer Mineral, where legal. The reason I suggest these products are two fold. They flat out work as advertised and the combination provides year round nutrition which is a huge factor when managing deer land. Supplying year round nutrition is extremely important. Everyone understands that high protein food sources are important in spring and summer. This is key to antler development. What’s lost is the harm caused by enduring unneeded winter stress. In spring, bucks build their bodies back before focusing most of their energy on racks. The more they work on their body the fewer inches of antlers they’ll produce. To give that rack a jump start, I offer ample grains and Fall/Winter/Spring. Next, do the little things to be sure you get the most out of your investment. Taking soils tests is a far too often ignored step when managing deer land. This is vital in knowing exactly what your planting needs and being able to address it. Another product that’s exceptionally helpful is Antler King’s Plot Max. It’s sprayed on the seed bed before seedlings emerge. Doing so fixes the soil to make the plants healthier and less susceptible to drought. This past year I tested it on 5 plots, applying it to half in each case. Without fail, the half sprayed with Plot Max produced noticeably more forage. In 2 cases, it saved the treated portion of the plot from being a waste of money and effort. Nutrition is a key to growing huge bucks when managing deer land. If you are going to go through the work, be sure to select quality plantings, plant enough to satisfy the deer’s year round needs and prepare the soil to allow them to thrive. 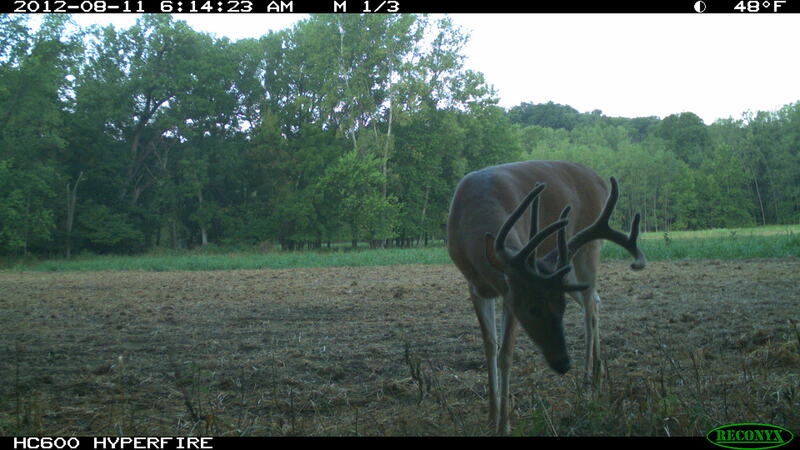 Of course, there are other things that are important in producing top end bucks. Hunting smart and creating sanctuaries is important in providing deer a feeling of safety. Making sure protective cover from the elements is available and offering water sources are also important. To compliment that, selectively harvesting management bucks dramatically increases the odds of keeping the bucks you want most when managing deer land. Also, harvesting does for the right reasons and under the right circumstances is critical. Finally, getting the most from your food plots, as well as offering ample year round nutrition is the important cherry that tops it all off. Aside from the opening story highlighting the importance of shooting the right bucks, the other reason I used it was because it involved a firearm. Having been a long time bowhunting snob myself, I fully understand wanting to shun them. Heck, I can count on one hand how many times I’d firearms hunted since high school. I’ve come to see that as a big mistake on several levels. The first is that it’s just plain fun. That’s something I’d forgot. The other is its effectiveness as a herd management tool. Face it, for as advanced as today’s archery equipment is it still can’t match the range of firearms. When managing deer land, they are significantly more effective. Furthermore, in many states, choosing to firearms hunt offers another buck tag. In my home state of Wisconsin, you can only fill one buck tag with a bow. However, a firearms tag provides a second. In Illinois, residents can fill 2 buck tags with a bow. If they are a land owner, they can get a third, but one must be used with a firearm. For nonresidents, only one buck can be taken with a bow, but a second can be harvested with a firearm. In states such as these, expanding into firearm hunting provides the ability to further manage the herd. Finally, and most importantly, we can’t afford to bicker with other deer hunters any longer. 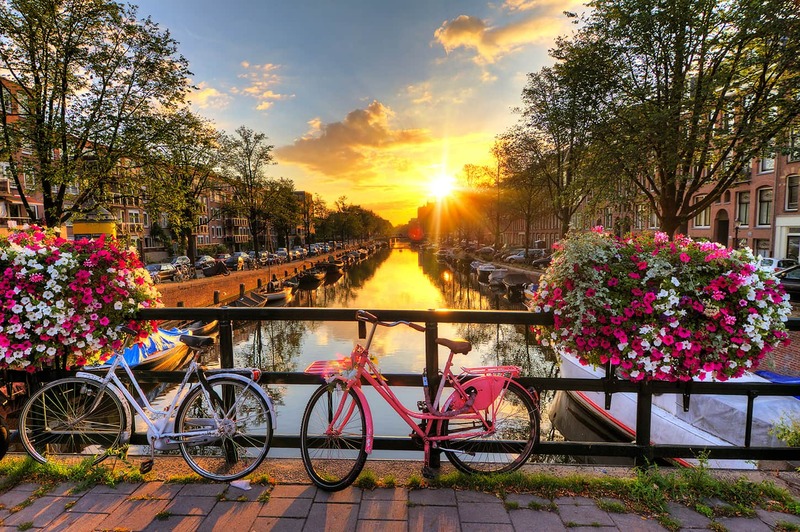 I’m afraid that as more and more of our population shifts to exclusively living urban lifestyles, our numbers continue to dwindle by comparison. Uniting with fellow hunters is the best defense against the non-hunting majority. The best way to ensure a united front is for all of us to hunt with both weapons. To get an edge on hunting these great bucks, please consider one or both of my books. For a comprehensive guide to cutting edge stand hunting methods, check out Advanced Stand Hunting Strategies. A personally autographed copy can be yours for $22.50, tax and shipping included. Be sure to include your name and the shipping address, and have fun managing deer land.